A poignant but soft-centered debut novel about family loss and survival. In rural Minnesota, Kate (6) and Esau (12) grow up aware of mental illness in their family. Their aunt committed suicide, her history pointing forward to the story’s twin axes. Their father, Arnold, has forsaken work for a life of drinking, and Esau is having “episodes” that deepen to delusional behavior, leading to his incarceration in State, the local mental hospital. Under this pressure, his parents’ originally satisfactory but now strained marriage cracks. At Christmas, after an unhappy visit to Esau, Arnold shoots himself. His widow, Claire, takes Kate and spends a while with her surprisingly supportive in-laws. She isn’t ready to tell Esau of his father’s death, or to enter the room where it happened. But as spring arrives, Esau is strong enough to come home and be told the truth. The narration is shared among Kate, Claire, and Esau, and we learn of the boy’s unusually tolerable time at State: colorful but endearing inmates, kindly staff. At home again, he struggles to be well, aided by preternaturally helpful Kate. Together, the two support Claire, who is relying on drink and her friendship with Donna—the mother of Kate’s best friend—to get through. Claire and Donna discuss weak husbands and failing marriages, subjects Donna understands, being married to Dale, an unhappy Korean War vet who has also taken to drink. One exception to this run of weak, dissolute males is Frank, the local bar-owner, who possesses both a library and a button collection. He and Claire begin to date, causing some anxiety among the children. Donna is also seeing another man, creating greater anxiety in Dale. On the night Claire consummates her relationship with Frank, Dale commits suicide too. But Kate’s epilogue reveals a happier future for her family. 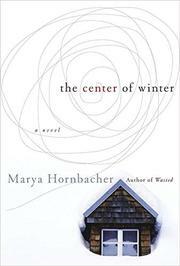 Memoirist Hornbacher (Wasted, 1988) dilutes the impact of her sensitively told story through overdoses of cuteness and foreboding.